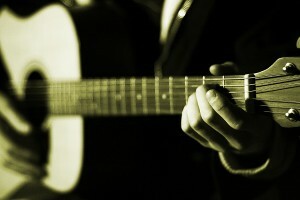 Would you like to learn the play worship songs on the guitar like a pro? This unique “play-as-you-watch” process is illustrated in vivid, yet simple, step-by-step detail in this Christ-centered DVD course. View an 8-minute audio for an overview and description of the program. Most of the songs are familiar worship songs to most churches. 1. It Will Bring You Lifelong Enjoyment. Playing provides a creative outlet, joy, and comfort. 2. You Will Be Able To Be a Blessing to Others. Play for and with others, with their take-anywhere instrument. 3. You Can Use It To Worship the Lord. 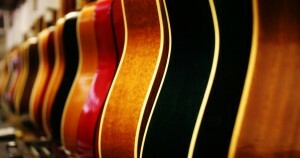 “Praise Him with stringed instruments” (Psalm 150:4). 4. You Can Experience Immediate Success. No previous music background is necessary. 5. You Can Learn in the Convenience of Your Own Home. No need to spend time going out to lessons. 6. You Can Start Anytime. And at any age, it’s never too late to start! 7. You Will Save Money. Save hundreds of dollars compared to private lessons. You can watch the first lesson free.